Recently while strolling about a Berlin park, waiting for clouds of volcanic ash to disperse, I encountered a game I had never seen before (pictured right). Intrigued by this unknown form of recreation, I sat and watched two strangers for nearly an hour. After a short while, the rules and objectives of the game began making themselves clear. The game was understandable to those completely new to the experience. This sort of transparency is incredibly valuable in videogames and is a worthwhile pursuit for developers seeking wide accessibility. The lawn game, which I now know as Kubb, goes something like this: Two players distance themselves evenly away from a large central "king" block. Each player is given five rectangular wooden blocks, or Kubbs, to place between two pegs in the ground, forming a row of evenly spaced blocks parallel to the opponent's row, creating a rectangular playing field. Then the players take turns throwing six large wooden batons at the opponents line of towers from their imaginary border line before finally aiming to topple the king. The player or team that knocks over the center king block first wins. All of the above can be gleaned by watching the game for just a short time. There are further intricacies. 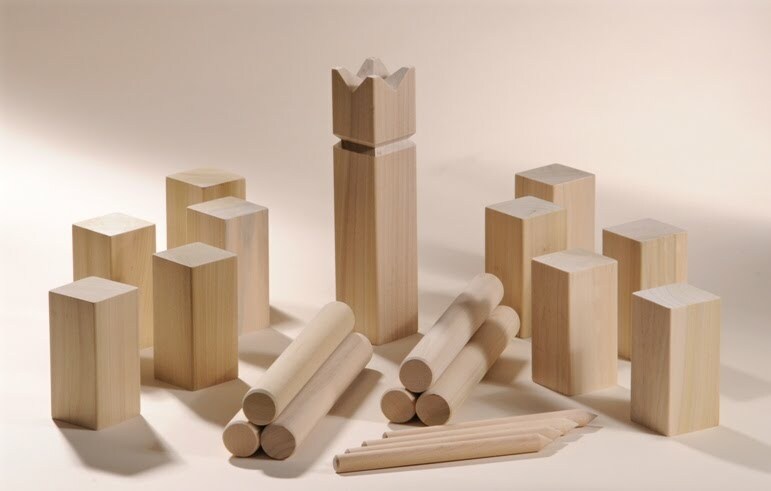 Because Kubb has several distinct phases, these additional rules were also easy to comprehend by simply watching. For example, if Player A knocks down Kubbs during her tossing phase, Player B then throws these blocks into Player A's side of the pitch and stands them upright; these are known as field kubbs. At the start of Player B's turn, he must first knock down these Kubbs before moving on to her opponent's line of blocks. If he does not, Player A may toss her batons from a new imaginary line running along the kubb closest to the king. All of these rules can be divined by logical assumptions based on non-verbal information, including what players do not do. For example, why were the players I watched not throwing overhand instead of the less accurate underhand? Why were they not tossing the batons horizontally, creating a wider trajectory and therefore increasing the likelihood they topple a block? The correct assumption in this case is simple: the rules do not allow them to do so. From the reactions of players, the acts they did not take, and the distinct phases of play, I felt confident I could recreate the experience without having read any official rules. I found the yet unknown game beautifully transparent in its design. Let's look at Final Fantasy XIII's transparency, if for no other reason than I am playing it now. Understandably, FFXIII is a far more complex beast than the Swedish lawn game. Yet it does have a set of rules with various levels of transparency. We could say combat is a distinct phase differing from exploration. Within combat there are more stages. Waiting for your "ATB" action gauge to fill-up is one phase, attacking is another. Even further, one round of attacks is broken up into individual abilities which can be executed early. As each action is taken, its name disappears from the interface and the ATB meter depletes. How player choice is carried out temporally is fairly transparent. 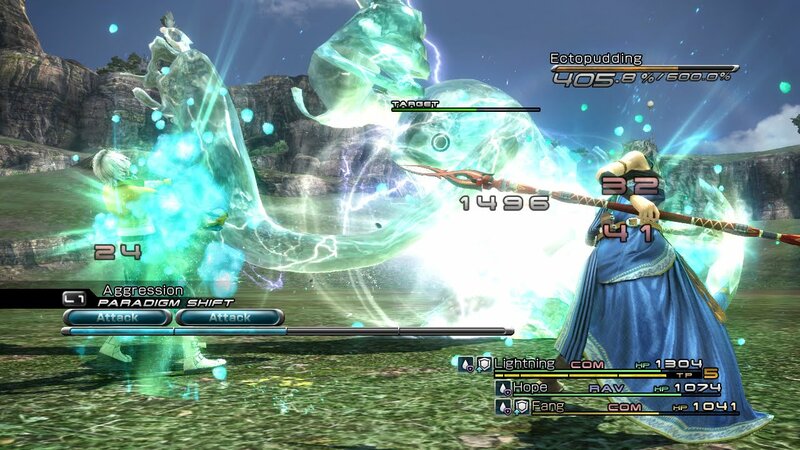 Unfortunately, the rest of FFXIII's combat interface is a confusing mess. The screen is crowded with information, yet much of the interface is not explained until many hours into the game. 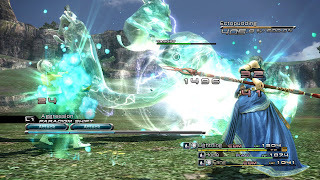 Damage amounts against opponents stack on top of each other and include all party members, although players can only directly control the party leader. Less important information, like the constant reminder that switching paradigms with the L1 trigger is an option, is more prominently displayed than the opponents health meter. It is also very difficult to measure the efficacy of specific abilities. This can make the search for dominant strategy against certain bosses a chore. None of this is to say the game is unpalatable. On the contrary, I am enjoying FFXIII immensely. Transparency is not necessary to create a great game. Bayonetta is still a critically acclaimed title, for example, despite its seizure inducing visual tornadoes. That design fits its aesthetics. However, many other games obscure what should be fluid readability with bad tutorials, muddled art design and animation, terrible user interfaces, and general lack of information. Poor transparency is similar to long exposition in film. The most immersive stories convey meaning by showing, not telling. When players can learn the rules that govern a game through observation and play, they are less reliant on tedious text-based information and less prone to confusion and frustration. 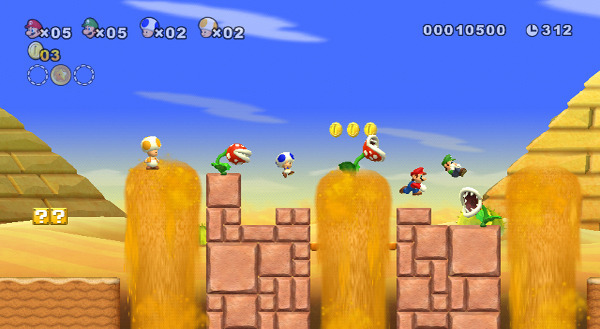 New Super Mario Bros. Wii and God of War III are two recent examples of what I consider very transparent games. Neither games are overly simplistic, yet they display their rule systems clearly, encouraging learning and exploration. It is no coincidence that the character select screen in NSMBW allows players to spin their characters, an additional in-game feature invaluable for high level play. Similar to Kubb's distinct phases, each attack in GoW III is visually distinct in its animation and its effect on enemies. These animations remain thematically consistent across equally distinct weapons. It is quite possible to learn strategy just by watching Kratos take out gods and minotaurs. Clarity is not just beneficial for experienced gamers. 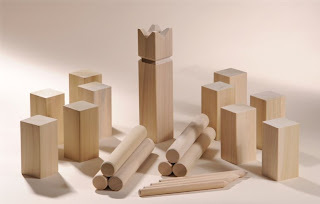 My partner Nicole, who does not have a rich gaming history, watched the Kubb match with me and pointed out aspects of the game I had not yet inferred. A more transparent experience is a more accessible experience. And again, transparency does not mean simplicity. I would argue such complex games as chess, Gears of War, Starcraft, and The Sims are all commendably transparent. Obscurity and confusion can serve a purpose, but for the most part, the most beautiful games lay themselves out candidly for us all to enjoy. Kubb is a favorite among my family. We're ethnic, I guess? Maybe it all comes down to "easy to learn, hard to master" here. However, I think that "defeating" a vicious interface can be a satisfying experience in itself. P.S. How do you like Germany by the way? It actually looks like a lot of fun. I might get my own set in fact. I don't know, theoretically you could have an easy to learn game that is still transparent. But that is just describing various levels of "mastering" with "easy to learn" meaning easy to get down the very basics. In which case yea, I guess that sums it up. I don't know about you, but I didn't think there was anything fun about "defeating" ME1's inventory system. "Oh dear" is right. Besides being stuck there, Germany was great! They should incorporate this game into the next version of Boom Blox! *chuckle* Indeed, Scott. It's a perfect fit for Boom Blox. I read an article a while ago about transparency in games. Chess was cited as a fantastic example of a game that is entirely transparent but still magnificently deep and varied. I did take a bit of issue with that assessment, though, since there is a LOT of unknown information in the game, it's just all in the players' heads. The *mechanics* are transparent, but the strategy and tactics are relatively opaque. To me, that places a big emphasis on skill, which really should be the focus of a solid PvP game, rather than fighting imbalanced or opaque mechanics. Plumbing those depths of tactics and strategy in Chess is where the depth comes from. While the transparent mechanics are the base, it's really what the players do with them that make the difference. The intricate interdependencies between mechanical options and large degree of freedom to choose what to play provide a wealth of options for players. I do think that's a goal to strive for; clear, concise, transparent *mechanics* that lend themselves well to let players use gambits and strategy to hide information. The game becomes a battlefield where the players play *each other*, rather than try to demonstrate mastery of an arcane game system. EXP Podcast #76: The Future of Games - In 3-D!